With the show opener between Russia and Saudi Arabia less than 24-hours away and another inevitable uninspiring collapse of England just around the corner, we asked our lead designer to share his thoughts on some of the ugliest kits that the World Cup has provided. One of the most successful teams in the history of the tournament, and yet they’re often so far wide of the mark when it comes to the design of their kit. Despite having a wider choice of ugly German kits than Southgate does creative midfielders, if I’m being perfectly honest there’s only one standout candidate. 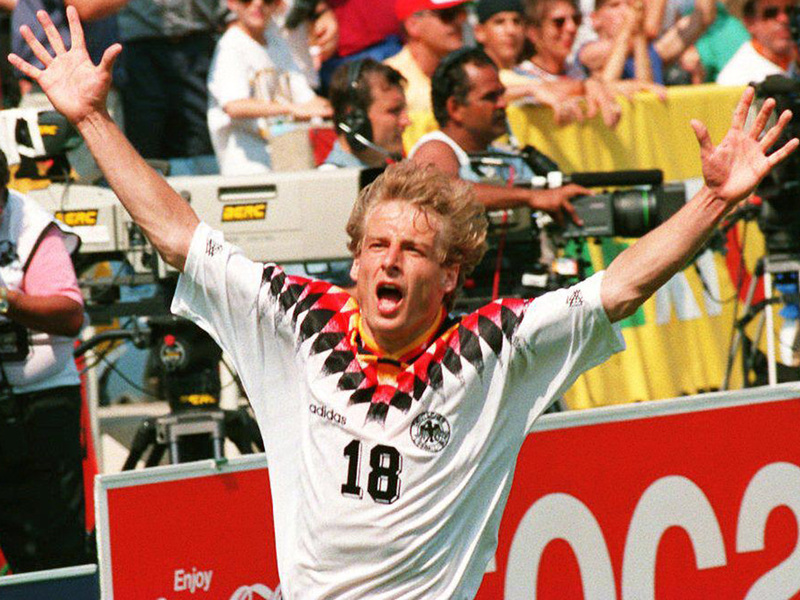 When Germany rocked up to USA ’94, everyone was asking the same question – what the hell went wrong with that! With its outlandish and ghastly design around the neck and shorts, this kit caused as much offense as their performance during the tournament. Thankfully for all involved, the German’s were on a flight home following an exit in the quarter-finals – the kits were lost in transport, never to be seen again at another major tournament. What was it about the ’94 tournament that encouraged these awful designs? The stars have seemingly been stretched and warped for no apparent reason. 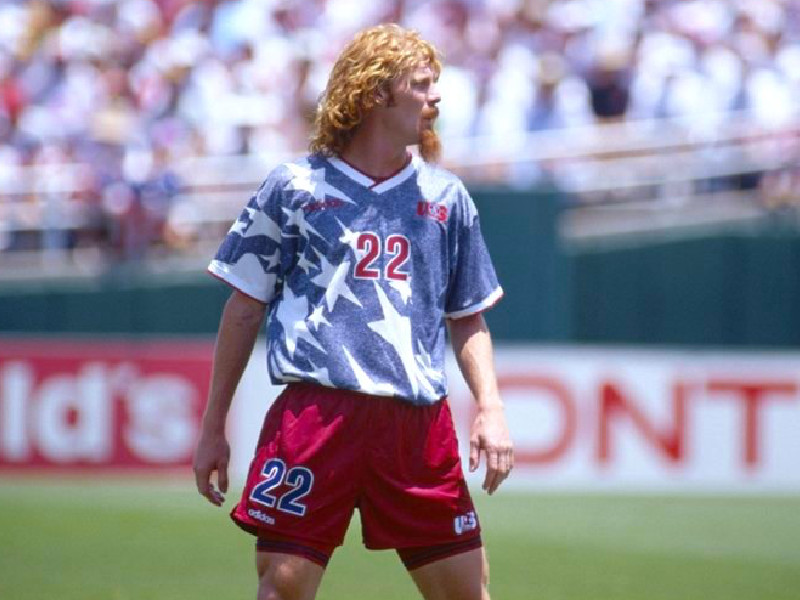 Throw in the stonewash denim colouring and we have a design so bad it transcended onto the pitch and resulted in the USA exiting their own tournament in the round of 16. An embarrassing affair all round. Thankfully they haven’t qualified for Russia. I’m warning you, it’s only getting worse from here on in. 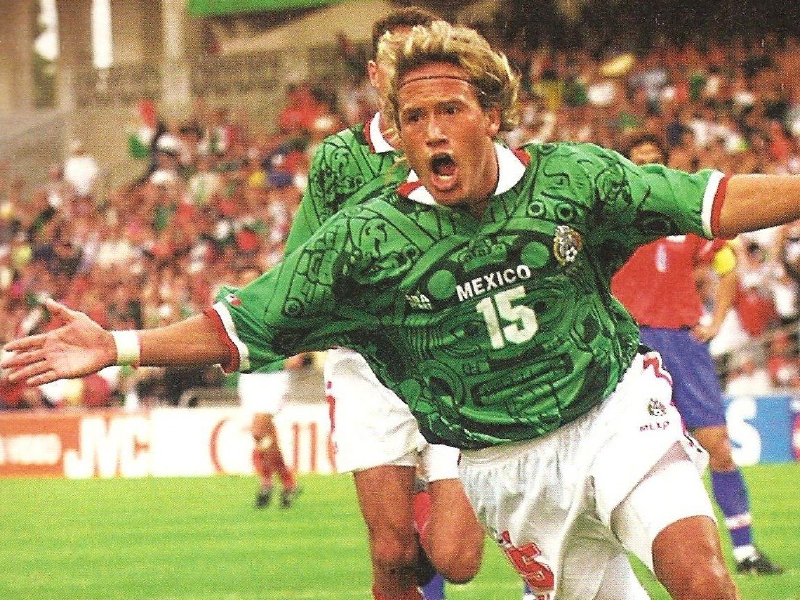 Featuring an angry Aztec print on the jersey, the Mexico team of 1998 fell victim to the ‘90s craze of awful kit design. We’ve spent some time stewing over this one, and we still can’t work out what they were thinking of. Unfortunately this design is anything but ‘straight fire’. I want to own it, but I want to own it because of how garish it is, not because it’s nice. You knew it was coming, I did warn you. 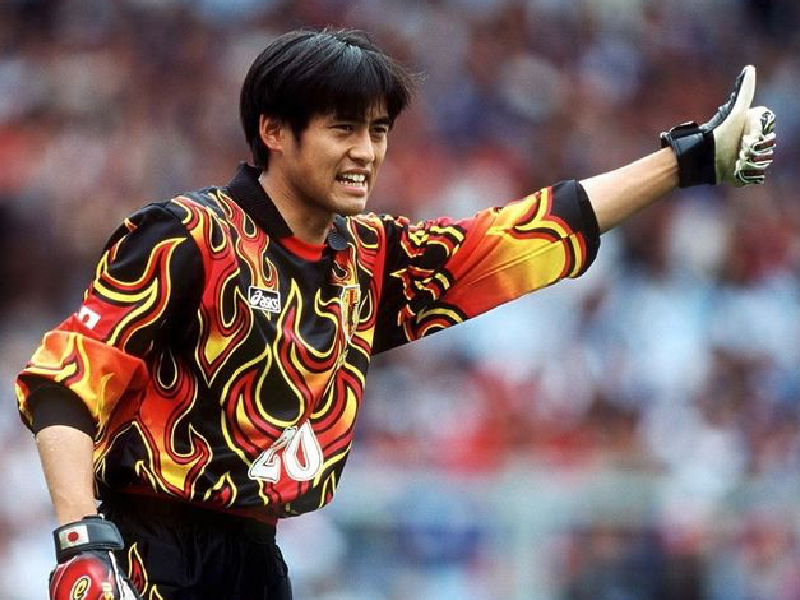 Umbro sent the Mexico keeper to the ’94 tournament looking like a pantone reference. In defence of Umbro, it wasn’t their designers at fault for this migraine of a design. 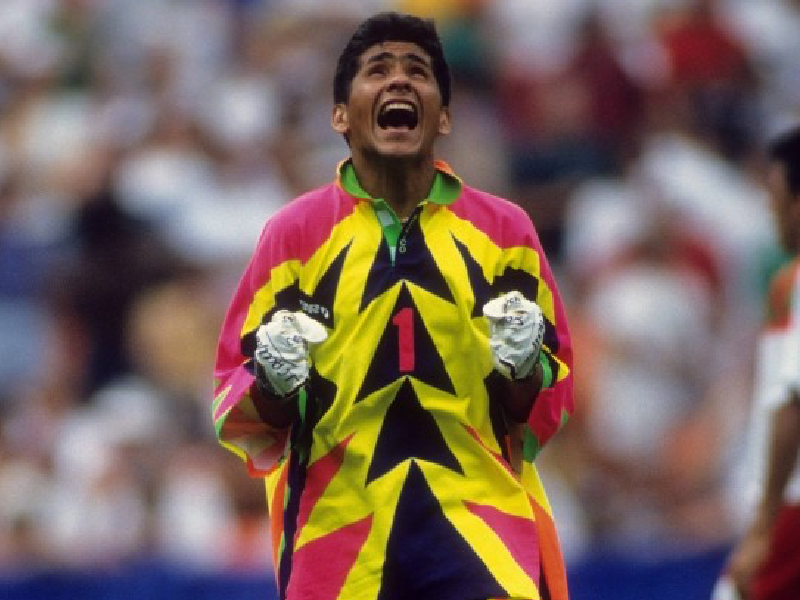 Jorge Campos, the former Mexico goalkeeper, loved to design his own kits. Going off his effort for ’94, it would appear he’s also a massive fan of Joseph’s Amazing Technicolour Dreamcoat. Fair play Jorge, you’ve won this one – please don’t apply for a design role with us.